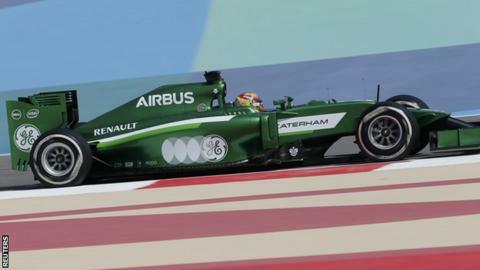 Caterham have "parted company" with technical director Mark Smith as part of a reshuffle of their design team. The team, who finished last in 2013 and are at the bottom of the table again this season, will not replace him. The team's technical department will be led by a committee, with three engineers reporting to team principal Cyril Abiteboul. The Frenchman said Smith's departure was "a tough decision" but said the restructure was needed to improve form. The technical aspects of the team will now be lead by a three-man team comprising head of performance engineering John Iley, head of design and manufacturing Jody Eggington and head of track operations Gerry Hughes. Abiteboul said: "After investing last year in our new factory, and over the winter in aerodynamic development capacity, the new structure gives three specialists we are lucky to have with us the opportunity to use their experience, passion and dedication to help us progress. "We are not happy with our current performance levels and John, Jody and Gerry, with my full support and that of our shareholders, staff and partners, are the right people to help take us forward." Caterham entered F1 as Lotus Racing in 2010, before changing their name to Caterham for 2012. They finished 10th for their first three seasons, but slipped behind back-of-the-grid rivals Marussia last season. The team are contractually committed to F1 until 2020. But team owner Tony Fernandes, who owns the Air Asia airline and football club Queens Park Rangers, has in the past threatened to abandon pull support from the outfit if they cannot improve their performances. Caterham came close to being merged with Marussia a year or so ago before the deal collapsed and there are continuing rumours the team will be sold to new owners.